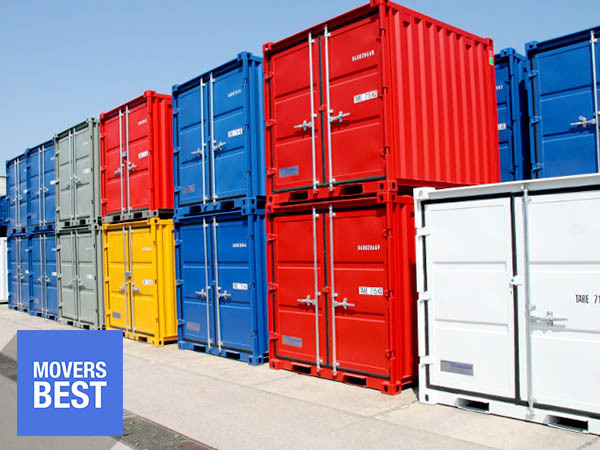 Movers Best » How Much Do Storage Pods Cost? If you want an answer to the question, “How much do storage pods cost?”, you should know that contacting us for a fast and free quote will be the smartest way to get the answers that you need. Storage pods give users the power to pack up their stuff at their own convenience. They may be loaded all at once or in increments and then moved into moving vans or trucks. These storage pods offer a new level of convenience to those who prefer to pack themselves. It’s all about taking care of moving tasks when it’s a good time for you to do so, rather than feeling the pressure to get everything done at once. If you want to learn more about storage pods, we encourage you to connect with us today. We have lots of information, including current pricing information (a quote for your move) to share with you. We operate in Orange County and our company has been around for years. In addition to offering our customers access to truly affordable storage pods, we offer plenty of other services and perks. Now, let’s talk about more great reasons to connect with our company today! We have the low-priced storage pods that you want. We also offer fast and easy quotes. Our website features a moving calculator and using it will help you to get a quote quickly. Just fill out the required fields and then submit the information. We’ll review it and our moving experts will put together a realistic quote for services. This is really the quickest way to find out exactly how much a move is going to cost. As well, we are proud to offer a very high caliber of customer service. Our professional movers are very experienced. Also, they are so well-groomed and they know how to treat customers, possessions and property with the utmost respect. When you place your trust in our company, we’ll offer you insurance options, so that you may choose an insurance policy which is just right for your budget and needs. As well, you should know that we are PUC licensed. This means that we’re the cream of the crop when it comes to providing moving services in Orange County! Our moving company never adds unnecessary charges. As well, we offer free materials to our customers if they want to pack things up on their own. If you prefer to have someone else pack for you, you’ll find that we are more than able to take care of things. We have the right moving supplies for the job, as well as modern equipment which is in great condition. Now is the right time to get in touch. We want to hear from you and help you plan out a stress-free move. We’re waiting to take all of the pressure off of your shoulders. The key to getting affordable moving services from a reputable company with lots of experience is connecting with us today. So, please get in touch!